Eskrima, otherwise known as Arnis (de Mano) or Kali is the indigenous martial art of the Philippine Islands. Well known and respected as a highly practical weapon based system, it is practiced worldwide by civilians, law enforcement personnel and special units within the military. 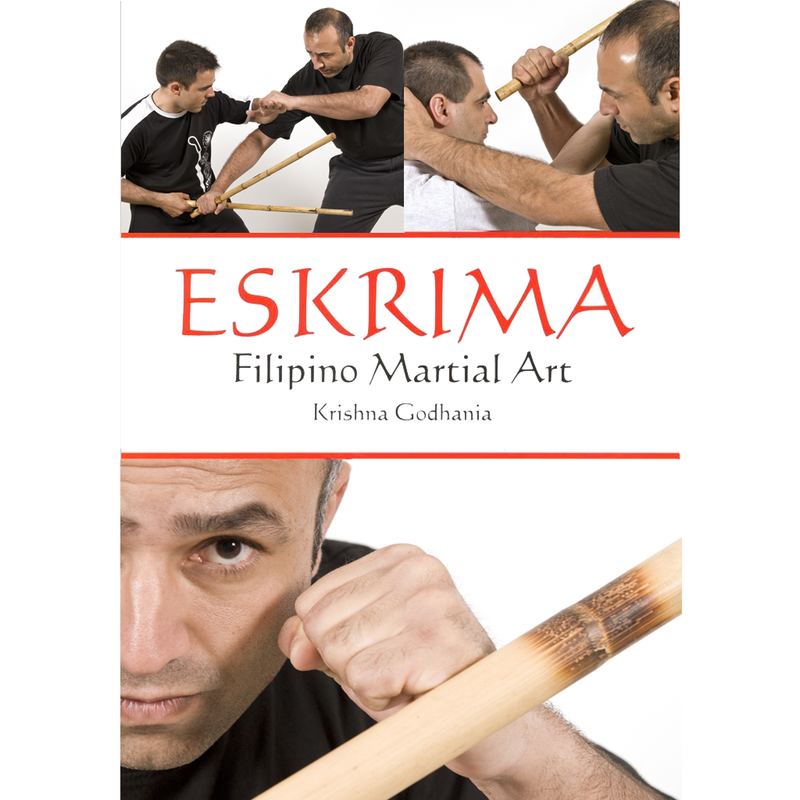 This book traces the history and evolution of this art form; it also highlights Eskrima’s essential training principles and concepts. The instructional section of the book focuses on Eskrima’s unique ability to function in any range of combat with and without weapons. Techniques, two person flow drills, self defence applications, training with specialised equipment, and philosophy are covered in depth. Written by one of Eskrima’s leading exponents it will prove essential to the novice as an introduction to the art, whilst the advance training methods will be invaluable reference aids to the most experienced practitioner. Krishna Godhania has more than 27 years experience of the martial arts, and has spent the past 18 years studying Eskrima in the Philippine Islands. He has a global reputation as being one of the leading teachers of the Filipino Martial Arts. He is the Eskrima Technical Editor and Columnist for Martial Arts Illustrated magazine, and has had articles published in Fighting Arts International, Combat, Black Belt, Inside Kung Fu, Blitz and Fighters magazine. He has also been featured in various Filipino Martial Arts books such as the Masters of the Blade and Filipino Fighting Arts. He currently heads the Institute of Filipino Martial Arts, an organisation dedicated towards the promotion and propagation of Eskrima-Kali-Arnis. He teaches seminars around the globe and is currently one of Eskrima’s most sought after teachers.